iPhone 7 users Searching for a super slim battery case that is capable of adding up to twice the battery life of the Apple smartphone without adding too much extra bulk. Maybe interested in a new iPhone seven battery case called the Omni created by Idlehands. 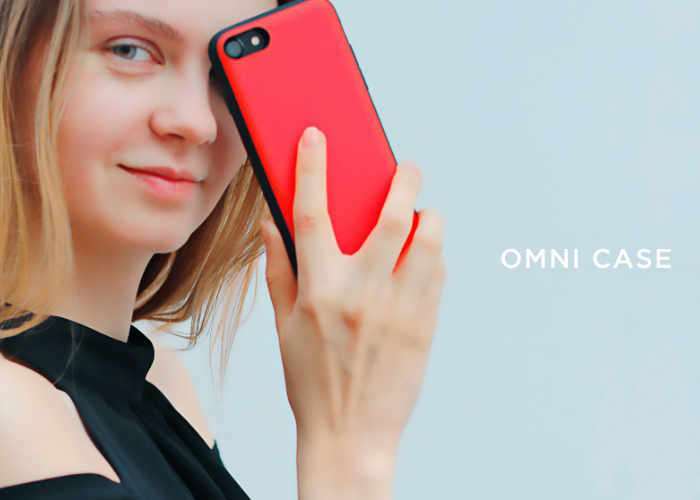 The Omni Case has this week launched via the Kickstarter crowdfunding website and is now available to back with pledges starting from $39 and worldwide shipping expected to take place during August 2017. Check out the video below to learn more about its design and functionality which also supports wireless charging and connection to Apple Lightning ear pods. We believe the iPhone 7 to be one of the greatest cell phones ever made, however for those of us who are power users. We have had to carry additional batteries to recharge our phones. The development of the phone battery case has been a great improvement. However all the phone battery cases we have seen do not support the lightning port, or if they have a lightning port, they will not work for data syncing or listening to music. We felt we could do better. So we created Omni case. An iPhone 7 battery case with a fully functional lightning port socket that allows you to do everything you should. Such as sink data, listen to music, charge your phone, and charge the battery case. To top it off we have included wireless charging. If you’ve ever used a power bank to keep your phone charged. You know that this is one more thing you have to lug around and potentially forget or lose, not to mention the extra cables you need to deal with. Our battery case supplies an additional 2800 mA hours of battery power to more than doubling the power of your phone. Significantly reducing the risk of being stranded somewhere with a phone out of power. To make a pledge and for full specifications jump over to Kickstarter using the link below.